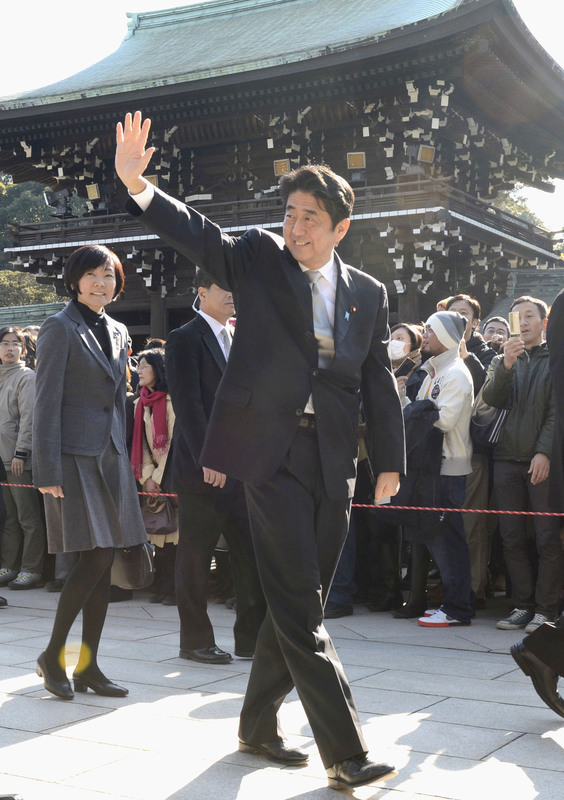 Prime Minister Shinzo Abe has outlasted those that scoffed at his return to power as leader of the conservative Liberal Democratic Party in 2012. And yet while the prime minister appears to have established himself as an increasingly dominant force in domestic politics over the past decade, the most significant changes may have in fact taken place at home. 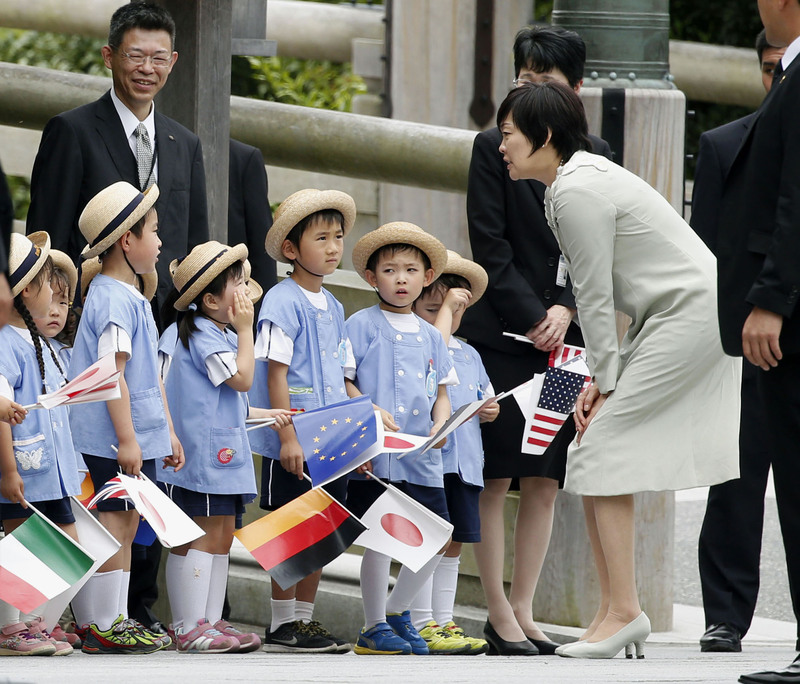 Since 2006, Akie Abe has transformed from being a supportive wife who was almost invisible in the background to becoming a national figure in her own right. Akie, 54, makes frequent appearances in magazines and interviews online, while also traveling all over the country to hear the views of the people — both young and old. 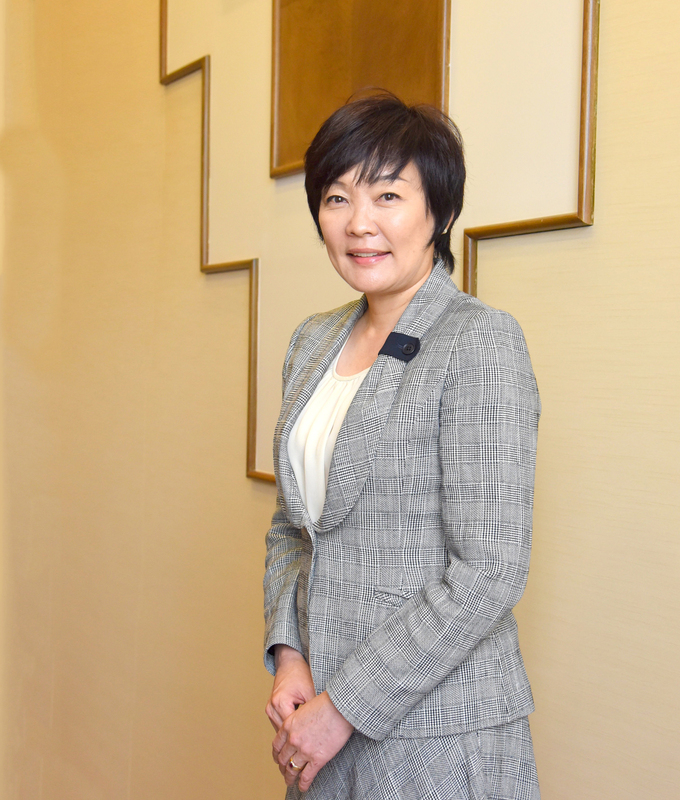 She is quick to stand up for the disadvantaged, supporting residents in Tohoku who face hardship in the wake of the 2011 disasters as well as encouraging those in the LGBT community to have the confidence to pursue what they want to be. Her charming personality and liberal observations are almost a natural counterbalance to the conservative prime minister, who is often viewed as a right-leaning nationalist. She clearly stands out from the typical staid outlook of the country’s first lady, with many of her predecessors merely supporting their husbands at home and keeping out of the public eye. 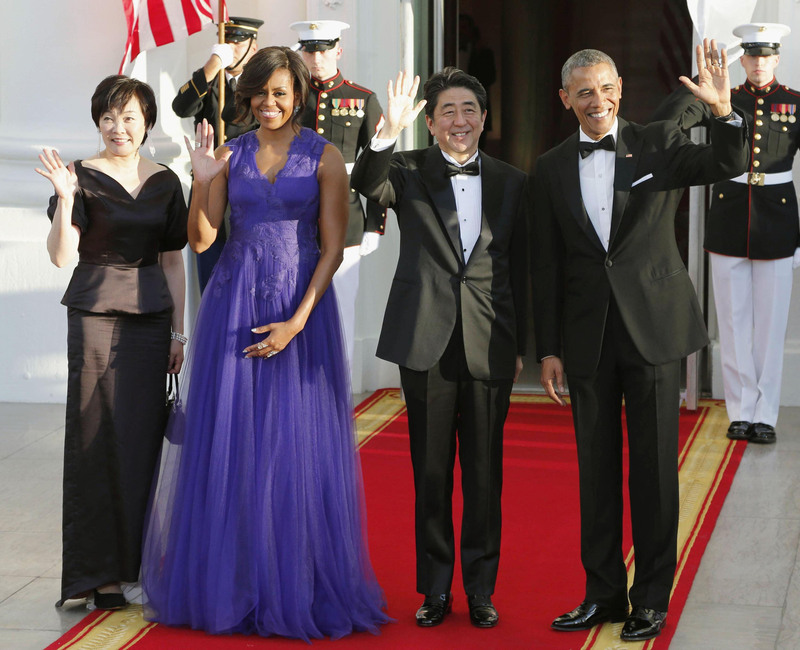 The first lady has no official status in Japan, which makes Akie’s role somewhat unique. Akie believes that social media has helped change her life for the better, allowing her to connect more closely with people from all walks of life through the internet. Her Facebook feed is filled with photos of her posing alongside foreign leaders and their wives, teenagers in school uniform and farmers. Other photos capture glimpses of Abe’s life as prime minister, showing such insights as Abe practicing his speech before the Group of Seven summit. She now boasts more than 88,000 Facebook followers. While Facebook may have given her followers greater insight into Akie’s personal life, she says she hasn’t changed her basic approach. Akie Matsuzaki was born in Tokyo in 1962. The Matsuzaki family was relatively affluent — her ancestors founded Morinaga & Co., a leading confectionery manufacturer, in 1899. Akie attended Sacred Heart School in Tokyo from kindergarten, before enrolling in the Sacred Heart Professional Training College as a young adult. After graduating from the private vocational school, she joined advertising firm Dentsu Inc. at the age of 22. It was here, while working at Dentsu, that Akie’s boss introduced her to a young political aide named Shinzo Abe. 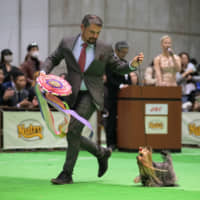 In spite of this, Akie’s boss continued to insist on an introduction. Eventually, after some time, she agreed to meet Abe. “We went out for dinner and I found (Shinzo) to be really funny,” Akie says, with a slight laugh. “He was very talkative and quick to make jokes. We then started going out with the same friends, played tennis and golf together, and went on a few ski trips. We did so many things together that I eventually became close to his friends and, in the end, we got married. 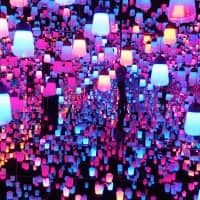 In the beginning, Akie admits she thought she should behave like a traditional Japanese wife — one who doesn’t walk side by side with her husband, but one or two steps behind. 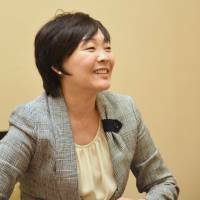 After Shinzo became a lawmaker in the Diet in 1993, she spent a great deal of time in her husband’s constituency of Shimonoseki. Even if she disagreed with government policy, she refrained from airing her views publicly, believing that the wife of a politician should not oppose something that had already been decided. She continued to adopt this approach after Shinzo became prime minister for the first time in 2006, keeping silent so that she wouldn’t face public criticism that could hurt her husband’s popularity. This all changed, however, after Shinzo resigned from the country’s top post in September 2007, according to Akie’s latest book, “Watashi wo Ikiru” (“I Live My Own Life”). Akie went back to school, receiving a master’s degree in Social Design Studies from Rikkyo University in March 2011. She also began participating in a number of community activities, including building schools in Myanmar. 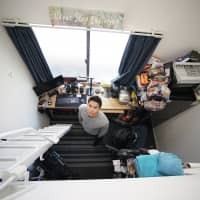 Since graduating from Rikkyo University, Akie began airing her views on certain issues publicly, even though they contradicted the policies of her husband’s political party. 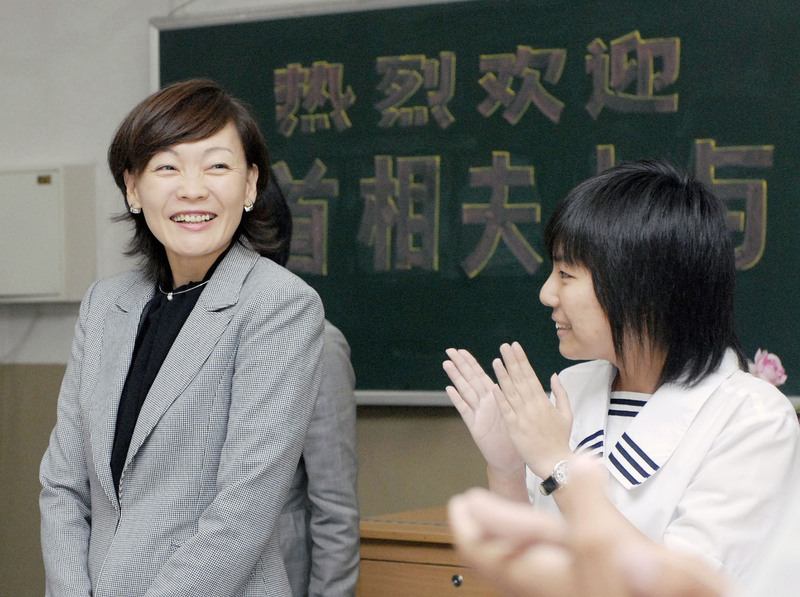 As a result, she is popularly known as kateinai yatō (at-home opposition party). 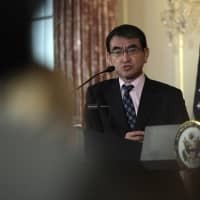 Akie has openly questioned the policies of the ruling coalition on a number of topics, ranging from the export of technology in the field of nuclear power to the Trans-Pacific Partnership agreement. 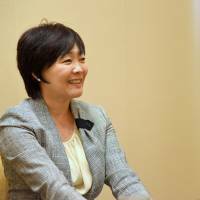 For example, she has publicly opposed the construction of seawalls along the coastal region of Tohoku, voicing her criticism during a speech in New York while on a trip with the prime minister in September 2014. The government has approved plans to construct 370 kilometers of seawalls in the Tohoku region as part of its disaster recovery efforts. It plans to spend as much as ¥1 trillion on the project, but progress has been slow in many localities due to local opposition. The seawalls will block ocean views, she says, suggesting that the region’s tourism industry could be damaged if the coastline is overdeveloped. Meanwhile, the burden of maintaining the walls, many of which won’t last more than 60 years, will fall on coastal communities that face shrinking populations. “A wall divides one heart from the other,” she told the audience in New York, referring to the apparent division between residents of disaster-hit areas who want the seawalls to be constructed and those who are hesitant. Speaking in Tokyo in May, Akie goes into her opposition to the seawalls in a little more detail. Victims of the 2011 quake and tsunami may have initially wanted seawalls to be constructed to prevent another calamity, Akie says, but over time many residents have come to question such a decision. Akie says it’s misleading to call the construction “restoration work.” Local governments are not rebuilding walls that were destroyed by the quake and tsunami, she says, they are replacing 5-meter seawalls with barriers that, in some cases, are twice as high as their predecessors. Akie believes such problems are caused by inherent structural flaws in bureaucracy. Akie says bureaucrats sometimes ignore the wishes of the people, believing that the people protesting are living in a completely different world altogether. She points to the crowds that gather outside the Prime Minister’s Office on Fridays to demonstrate their opposition to nuclear power. Akie doesn’t shy away from voicing her opposition to nuclear power, either, even though it’s a sensitive topic within the ruling coalition. 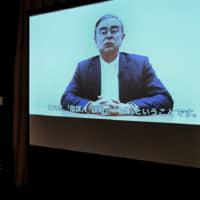 Whenever Akie airs such views in front of her husband, the prime minister rebuts his wife and argues that Japan needs to show the world it is energy self-sufficient, she says. He also argues that Japan can’t afford to lose nuclear researchers, as it will need experts to dismantle nuclear power plants in the future. Akie says she tries to meet the people on the ground who are engaged by the issues that concern her. 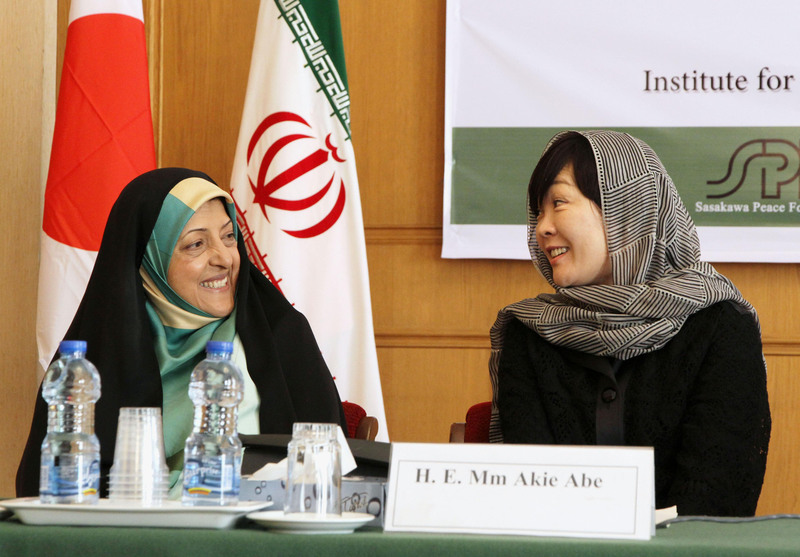 In early May, therefore, Akie led an entourage to Iran to participate in a joint Iran-Japan seminar titled “Women, Peace and Sustainable Development” and exchange views on her husband’s “womenomics” policy with female Iranians. Traveling as chairwoman of Foundation for Social Contribution, Akie found that Iranian women actively contributed to society — something that Japan could learn a few things from. “It is wrong to assume that women are disadvantaged getting a job,” Akie says, recalling the trip. Wearing a headscarf, Akie made several appearances in local newspapers during her stay. 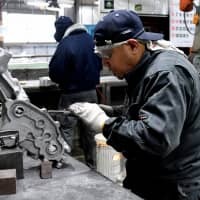 In an interview with Tehran Times, she spoke candidly about the slow progress Japan was making to change its business environment. That said, Akie believes society needs to embrace different lifestyles, arguing that not every woman wants a lifelong career. “There are other ways for women to play an active role in society, including child care or housework,” she says. The first lady also has a strong interest in agriculture and even owns a block of rice paddies in Yamaguchi Prefecture. She serves the rice harvested from the plot at an organic izakaya (traditional Japanese restaurant) called UZU in Tokyo’s Kanda district, which she opened in 2012. “I opened UZU hoping that people from Yamaguchi can gather there and feel at home,” Akie says. Her husband had initially warned her to close the izakaya if it didn’t make a profit within 12 months but it has managed to earn a profit over the past 3½ years. Looking ahead, Akie is collaborating with an architect to open a guesthouse for young backpackers in Yamaguchi Prefecture. She has already raised about ¥50 million for the project through the crowdfunding website Readyfor. Akie, who enjoys a tipple herself every now and again, describes the guesthouse as a special place to enjoy a drink while overlooking the picturesque Kanmon Strait. Asked whether she thought her husband had changed much during his second stint in office, Akie believes he has much more resolve to accomplish something this time around. 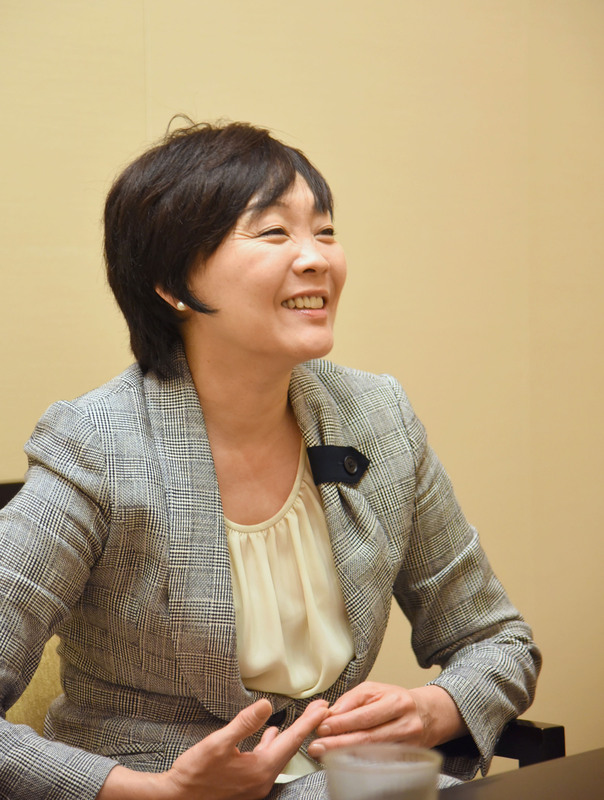 She believes her husband regretted resigning from the country’s top post in 2007 without achieving much, a decision that ultimately caused the LDP to suffer an electoral defeat against the then-Democratic Party of Japan in August 2009. 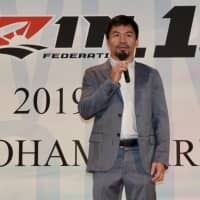 Yet, Akie brushes aside a question on whether she thought her husband had any intention of changing party rules to extend his term as LDP leader — and, by extension, prime minister — until the Tokyo Olympics in 2020. The world of politics is unpredictable, Akie says, and he doesn’t have the luxury to worry about such a distant future. 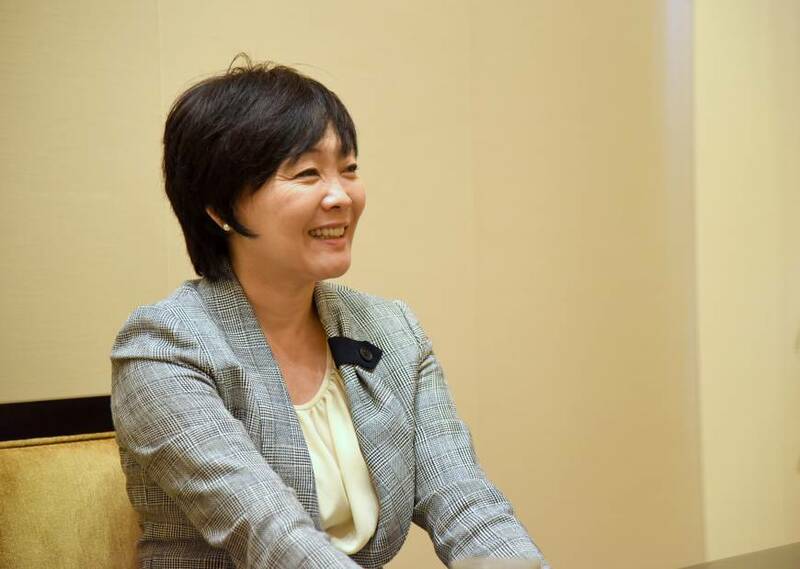 Instead, the prime minister needs to concentrate on what’s going on now — the upcoming Upper House election next month and other matters, she says.